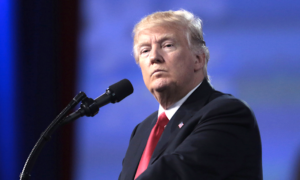 In a memo released on Tuesday, President Donald Trump’s notoriously unqualified secretary of education Betsy DeVos announced that her department would slash Obama-era policies meant to help students struggling with debt. 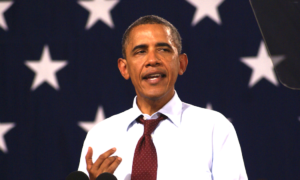 During the Obama administration, roughly 8.7 million Americans were defaulting on their loans. In response, Obama made it a goal to aid students with debt and directed the Federal Student Aid Office to focus on helping Americans with college debt while spending less time on debt collection. DeVos’ criticism of the Obama administration’s “lack of consistent objectives” regarding student debt is more than a little hypocritical, as his plan took an active role in lowering the numbers of students with debt. 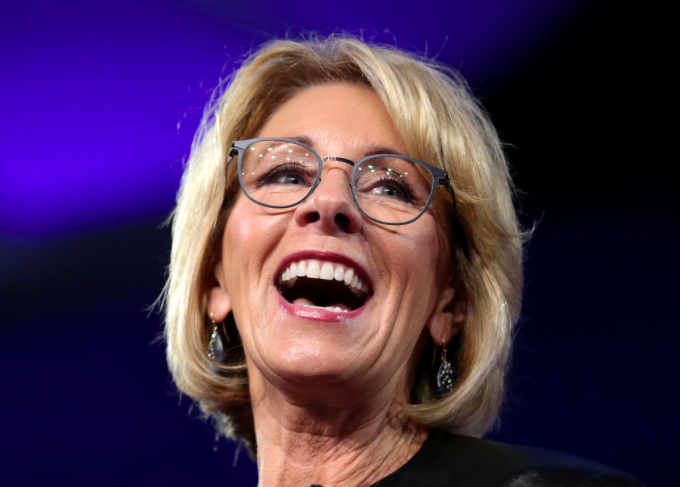 Meanwhile, despite DeVos’ promise that her department’s “mission in the student loan servicing procurement process is to provide high quality customer service to federal loan borrowers in a cost-efficient and effective manner,” experts who work in student debt speculate that DeVos’ repeal of the Obama administration’s protections will increase the likelihood of student debt defaulting. All of this makes sense when one recalls DeVos’ confirmation hearing in January. 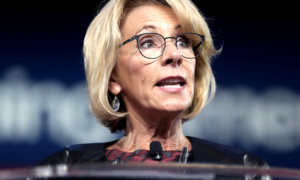 Widely believed to have been nominated by Trump solely for her millions in donations to Republican lawmakers, DeVos revealed that she and her children had no experience being saddled with a student loan in their lives.